We went to Rum and Muck! The older children from P5 – P7 went to Small Isles week, at the hostel in Mallaig. 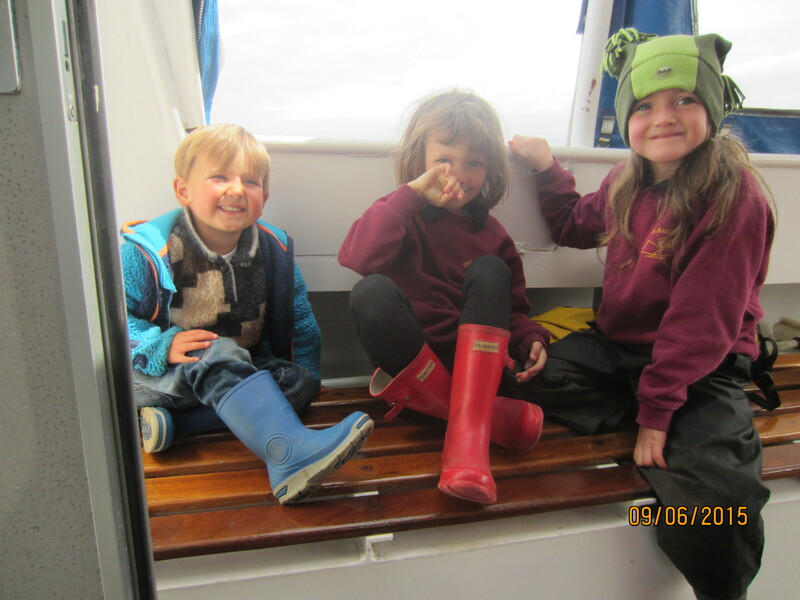 The nursery – P1’s went to Rum and Muck. On Tuesday we went to Rum on the Sheerwater. We went to the primary school to see Joslyn and Eve, to do Kodaly singing. I enjoyed the Kodaly singing with our teacher Roslyn; my favourite song was Mr. Wolf, because I liked making up the answers and chasing everyone! On Wednesday we went to Muck on the Sheerwater. On our way there we saw a minke whale and two sea eagles. We were an hour late to Muck, because we chased the mini whale in the boat! When we finally got to Muck, we went to the primary school and we sang a song with the Muck children. The Muck children showed us their poly tunnel. My favourite part was when we played outside in the castle and had cake for our snack. We were on the boat. 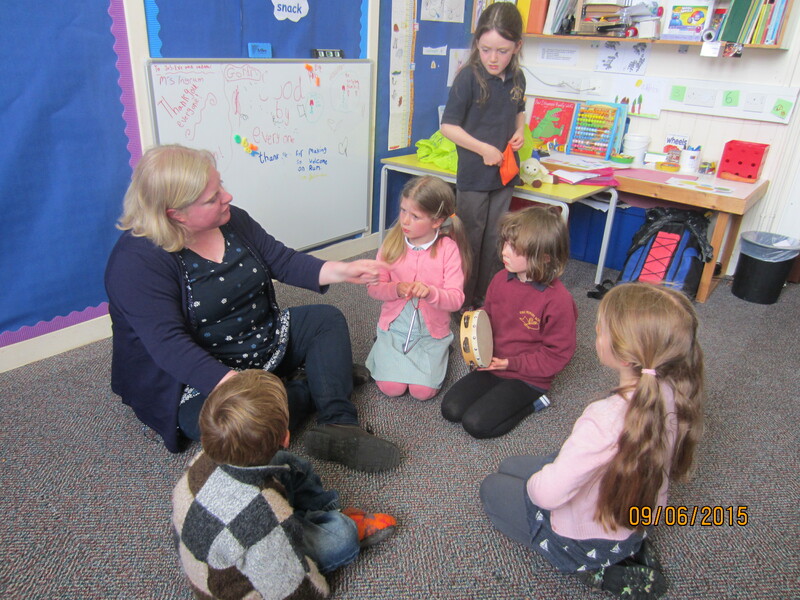 We are doing Kodaly singing – which I love! 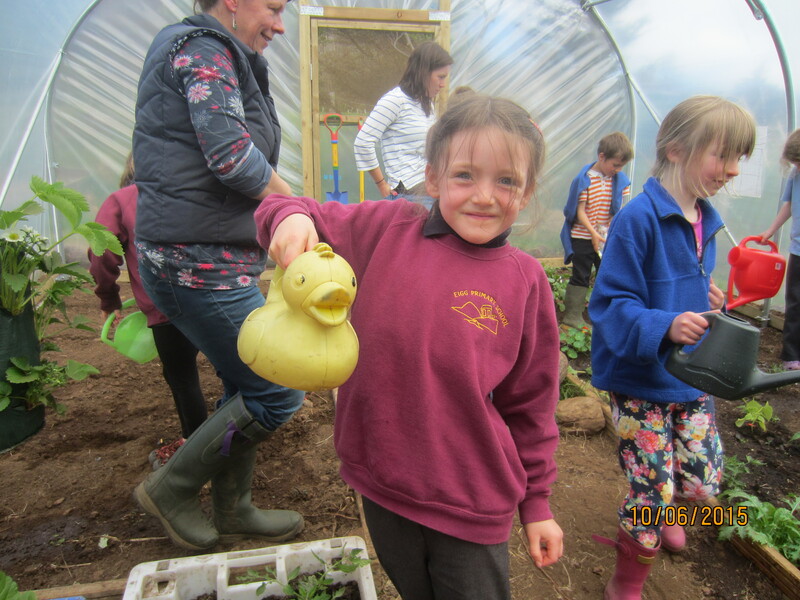 This is a picture of me, holding up a really nice watering can – don’t worry it’s not a real duck!